Head out onto the water and enjoy the tranquility of a sunset paddle. 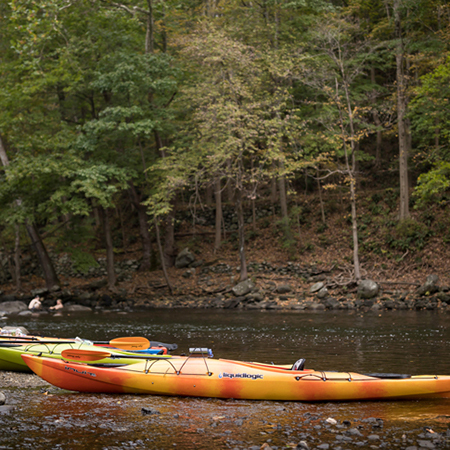 Whether you're an advanced kayaker or a first time paddler, an adventurous spirit is all you need! Begin your paddle as the sun sets! Great for novice & experienced kayakers! SEASON: From May through October. Offered regularly on Thursdays, Fridays, Sundays and holidays. 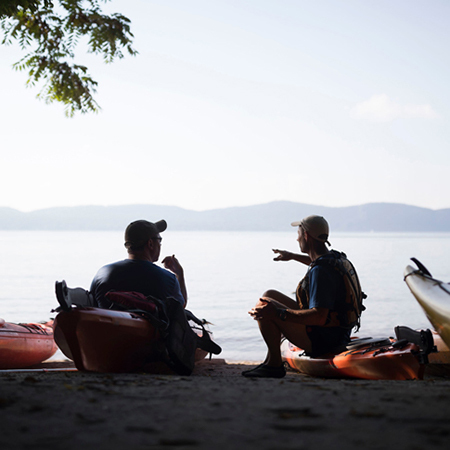 MEETING POINT: It will depend on which location you've booked your sunset kayak tour. See our locations page for more information. 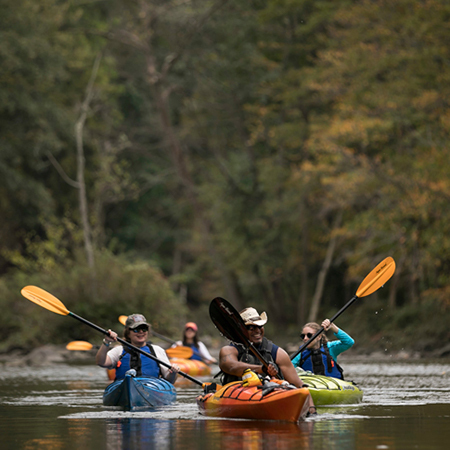 SAFETY: Before heading out onto the water your guide will go through basic kayaking tips and instructions. WHAT TO BRING: Headlamp or flashlight • Water shoes are encouraged. Please note that dogs are not allowed to accompany you on the water during this tour. PARTICIPATION REQUIREMENTS: Tours are not geared toward younger children. Children are welcome to participate when accompanied by an adult in a double kayak. To participate independently the participant needs to be of adult size. Join us for a Sunset Kayak and enjoy “magic hour”—that beautiful time between sunset and dusk—on the water. 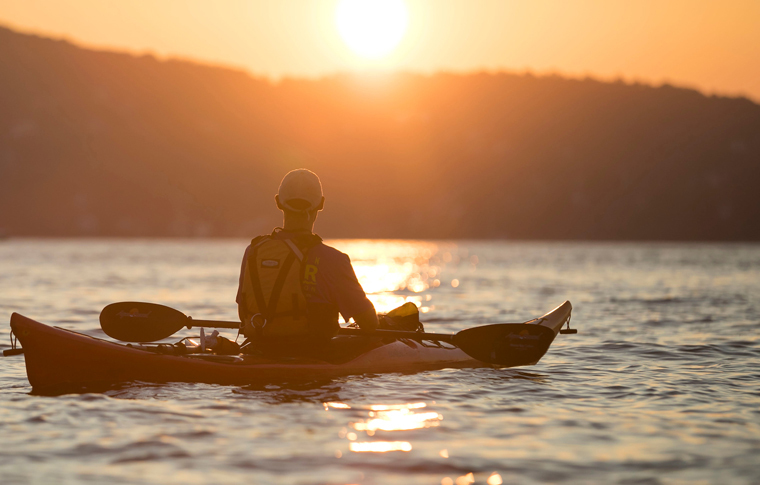 The warm evening light will give you a new appreciation for the beauty of New York’s natural landscape and provides an unforgettable kayaking experience. Start your tour with some basic kayaking instruction from your guide and continue learning as you paddle out onto the water, taking in the magnificent changing sky and reflections. Sunset trips are suitable for first-timers and are a refreshing experience for seasoned kayakers!